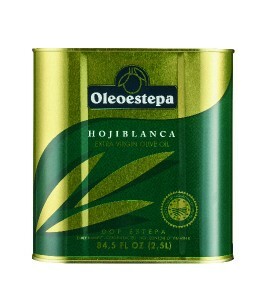 Oleoestepa Hojiblanca is a monovarietal extra virgin olive oil from the dominant variety of olives in our region. It has a very fresh aroma, full of fruity green olive notes, freshly cut grass, olive leaf, with hints of apple and artichoke. On the palate the oil gives a very fresh feel in the mouth with a delicate but elegant spicy and bitterness that are well balanced. This oil is ideal for seasoning vegetables and grilled fish. Early Harvest. Cold extracted. 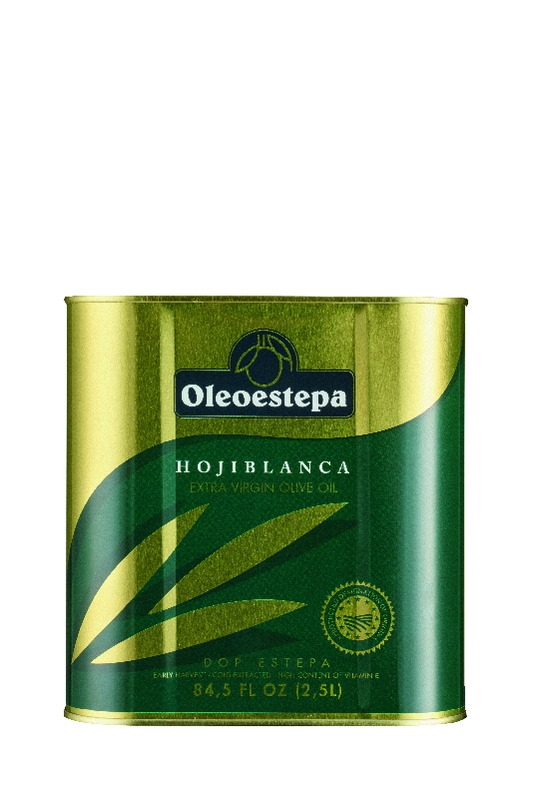 1st Place Best EVOO of Spain by Ministry of Agriculture, Food and Environment. 2014/15 campaign. 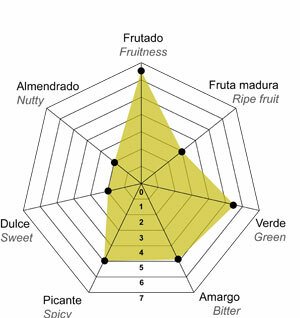 Category Intense Fruit. 2nd Place for Best Extra Virgin Olive Oil. XVII International Contest of Quality EVOO, Montoro 2014. 1st Place Best EVOO International Exhibition of EXPOLIVA 2013. 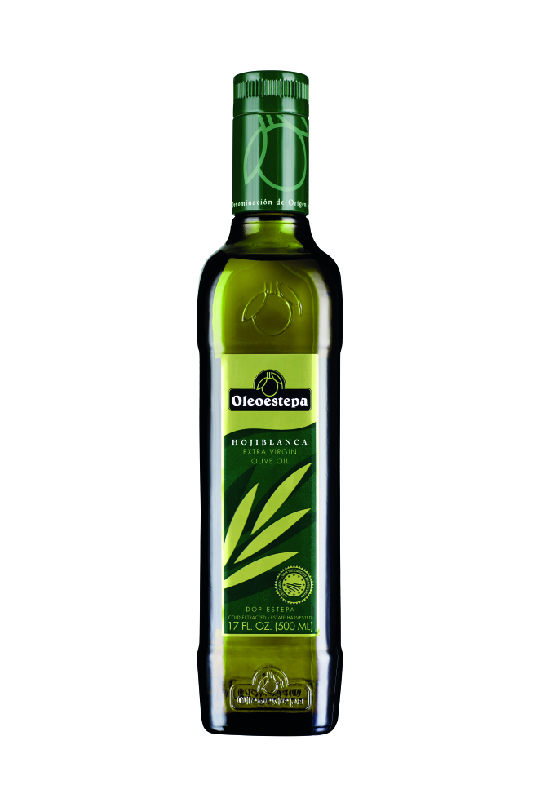 2nd Place Best EVOO of Spain by Ministry of Agriculture,Food and Environment. 2013. Category Intense Fruity. 3rd Place Mario Solinas 2013, International Olive Council (IOC). Category green fruit.